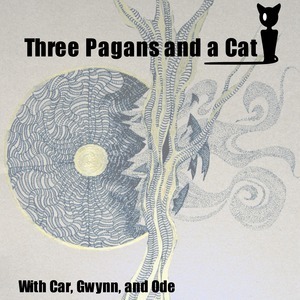 3 Pagans and a Cat is available for speaking engagements at your Festival or Pagan Pride day. The first in a series of super-condensed presentations on the subject of magical books, Building Your Book: History, Materials, and the Names of Things covers the history and impact of several grimoires (of various provenances), the materials and methods that one might use in constructing a magical book, and ends with a quick summary of dedications and book protections. The second in a series of super-condensed presentations on the subject of magical books, Building Your Book: Lists, Instructions, and the Tools of the Trade covers the origin and purpose of correspondences (as well as how to format them in your own book), the purpose of recipes and how they evolve, and the most common tools and objects used in magical work, including the book itself. The third and final super-condensed presentation in a series on the subject of magical books, Building Your Book: Time, Fortune, and the Making of Magic covers the history and modern implementation of pagan calendars (as well as touching on magical timing), the various methods of divination and the achievement of "signal clarity" (and why it might be important to record the results), and ends in an explanation of ritual and spell construction, the elements worth considering in the process, and the value of "spell templates". An extremely condensed presentation on the subject of magical books, touching on the history of magical books, the materials involved in constructing one, book curses and other protections, the nature of correspondences, the tools of the trade, calendars and magical timing, and the elements of ritual and spell construction-- including how and why to include all of these subjects in your own magical text. Car, Gwyn, and Ode discuss the history of divination, introduce the use of various divination methods (including tarot, Lenormand, pendulum, and ogham readings), examine The Ravioli Situation and other improvised divination options, and provide suggestions for achieving improved "signal clarity". Car, Gwyn, and Ode discuss magical names and the acquisition thereof, and present cases for either leaving or remaining in "the Broom Closet"-- as well as providing a couple of options and hints for obscuring one's pagan or magical identity if safety or comfort demands that one do so. Car, Gwyn, and Ode discuss how to build a podcast for a niche market using their personal experience in building the 3PaaC podcast, which had over 90,000 downloads in its first year.